• PLOT SUMMARY: Origins and Omens tie-in - (W) Andrew Kreisberg (A) Mike Norton & Joe Rubinstein (CA) Ladrönn Merlyn's been apprehended, but who's broken him out of custody? And what have they done to him? 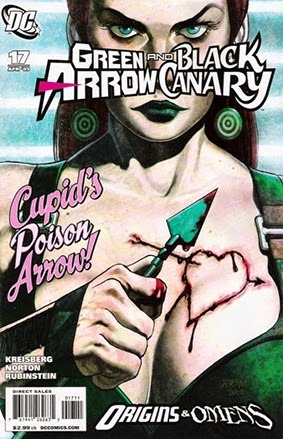 It all seems to be a horrific love letter to Green Arrow, which does not sit well with Black Canary!